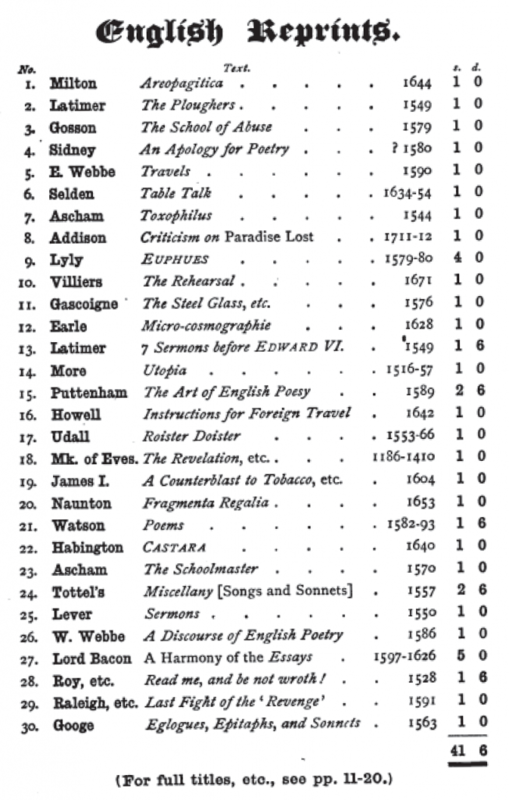 Edward Arber edited a series of 30 volumes of significant early manuscripts and printed books published by A. Murray between 1868 and 1871. 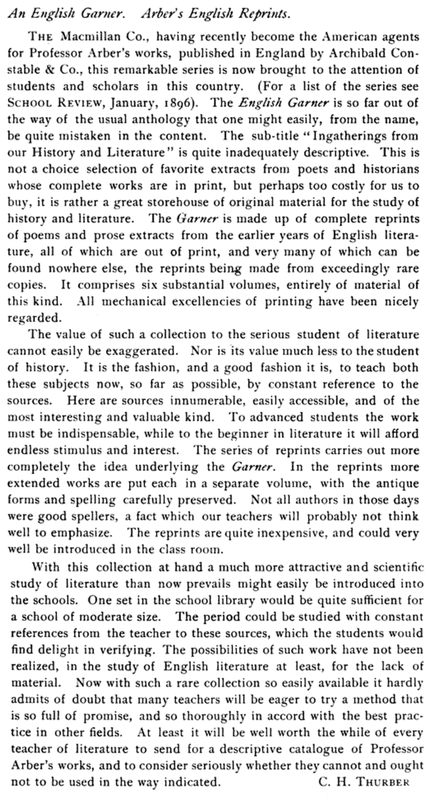 Constable began reprinting the 30-volume series in 1895. This copy of Sir Philip Sidney’s Apologie for Poetrie was published in the series in 1921. 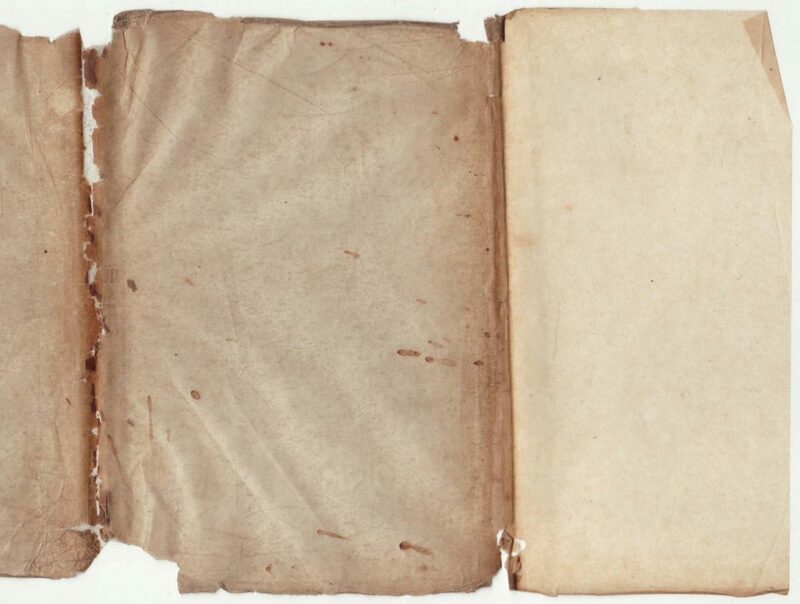 It has a blank tissue dust jacket (the front and front flap are shown below). The books are bound in boards, with “Arber’s English Reprints” on the front of the book. The series was more often advertised with the name English Classics. Earlier titles are often seen bound in green cloth. This particular copy may be missing the right facing page of its front endpaper, possibly removed because of an inscription. 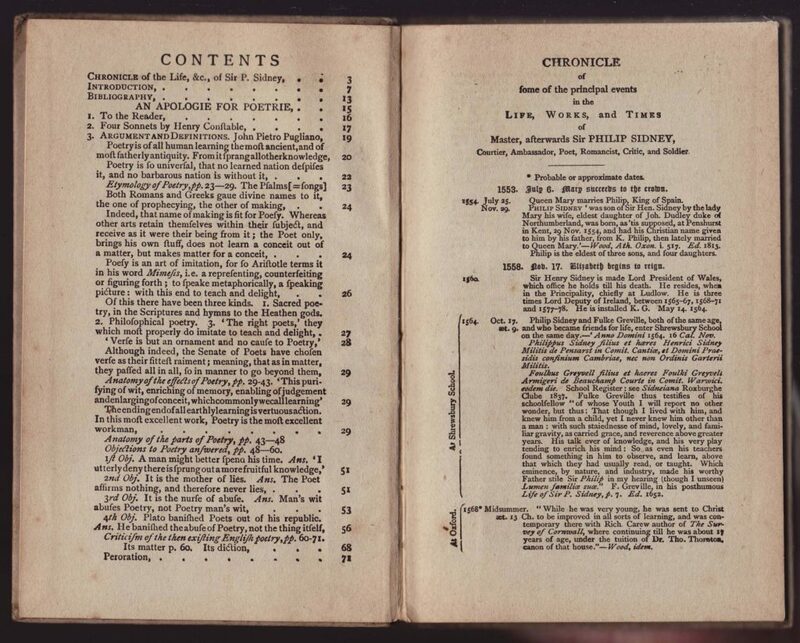 However, the books do seem to have not had a half-title page. The title page is headed by the English Reprints series name. 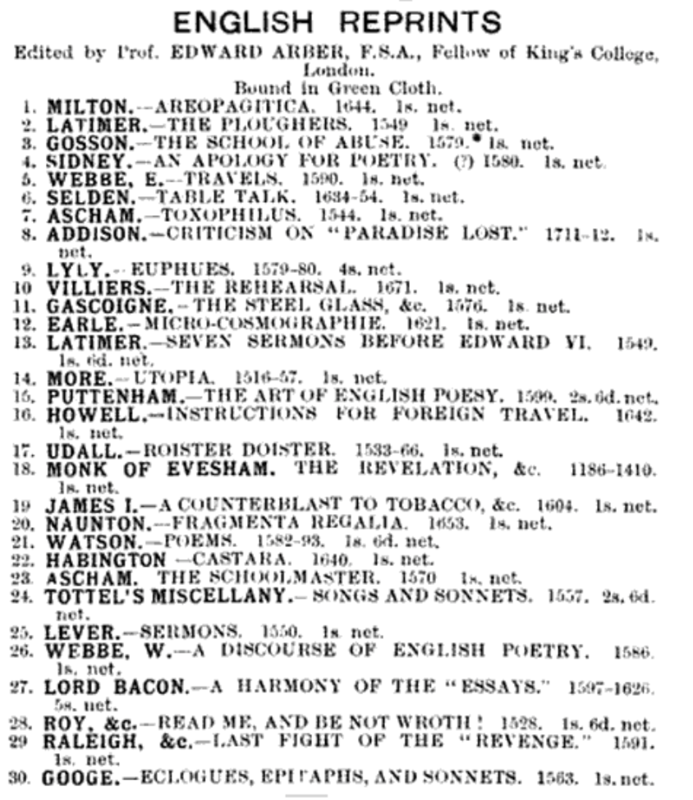 The imprint is Constable in London and Macmillan in New York. 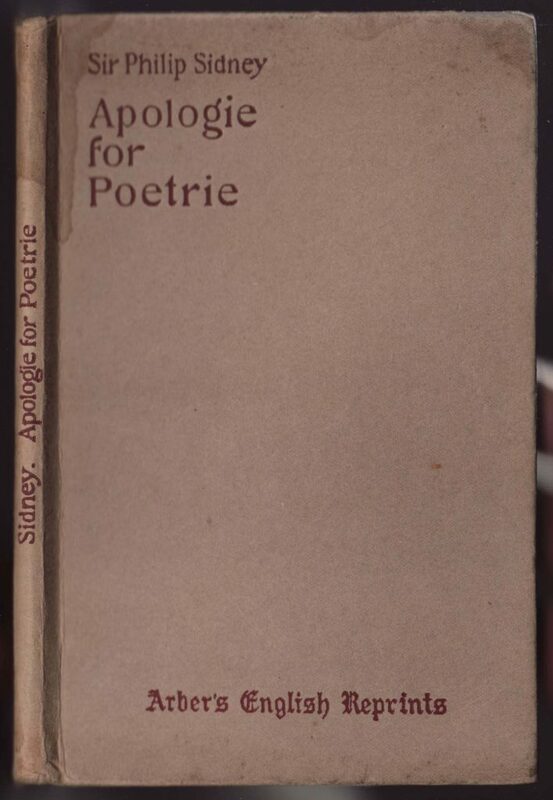 The date is included on the title page (1921). 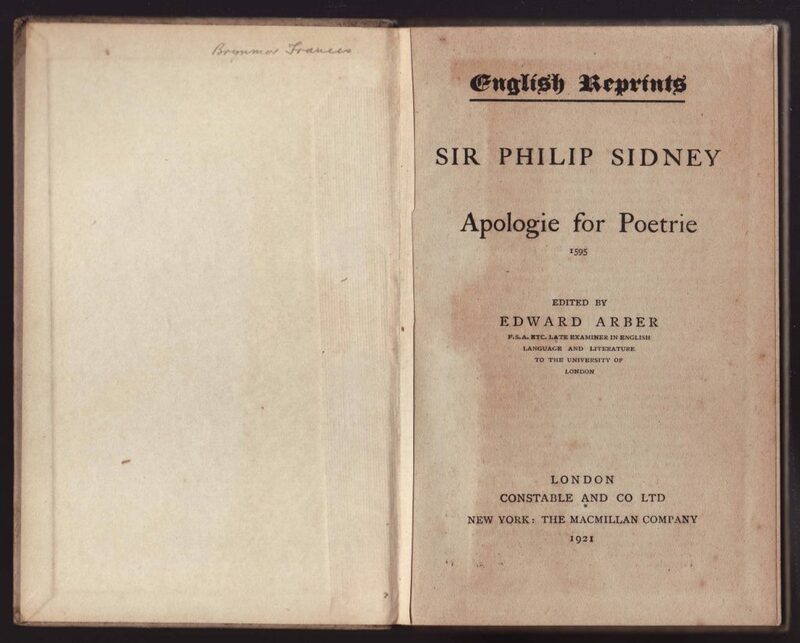 The very tightly compacted contents along with a “chronicle” of Sir Philip Sidney face each other after the title page. 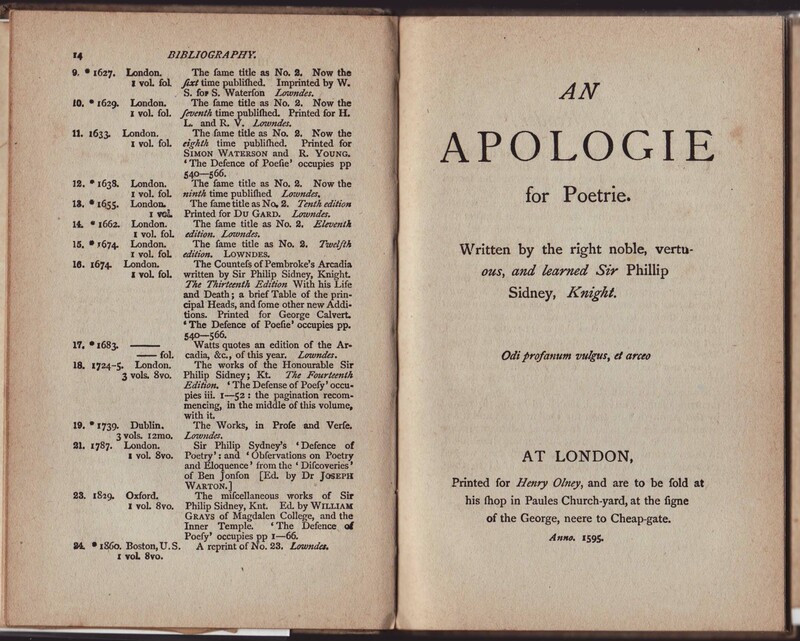 Following the Chronicle and bibliography is a recreated title page for the original An Apologie for Poetrie.